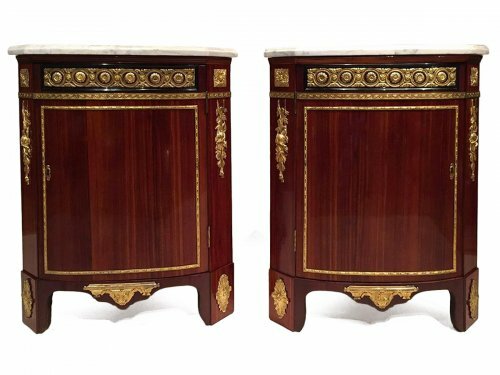 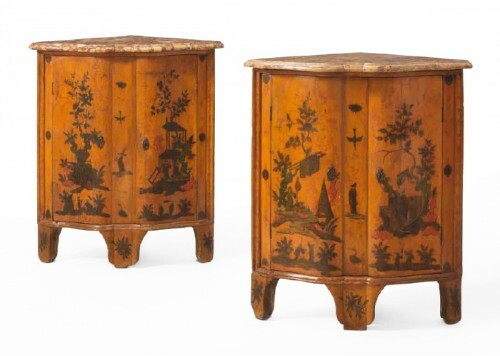 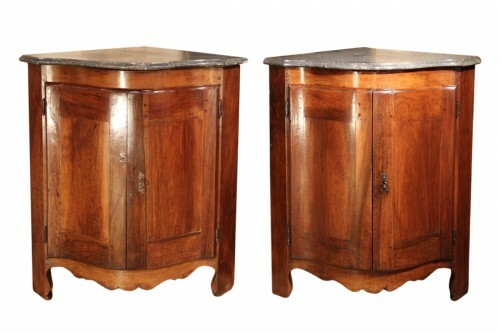 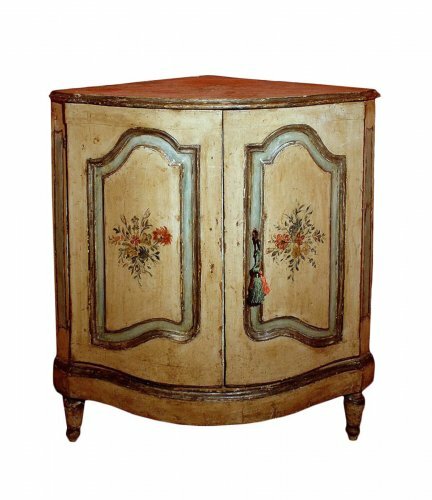 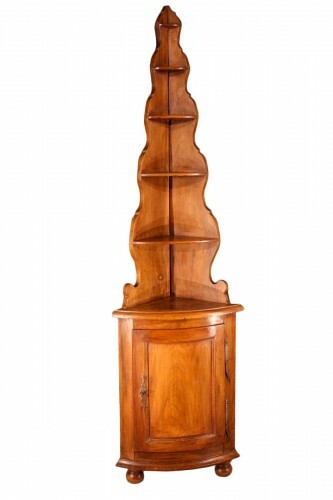 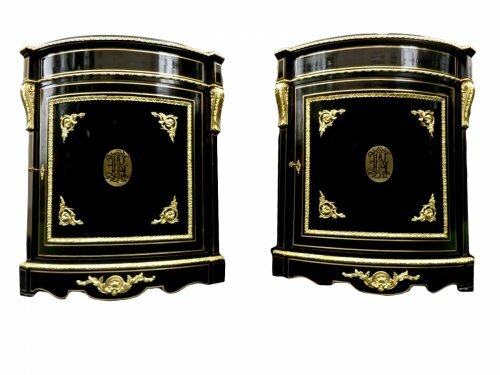 The corner cupboard (encoignure), which is also known in French as an ‘ancognure’ or ‘coinade’, is a piece of furniture designed to be placed next to a wall, like the chest-of-drawers, console table, and pedestal table. 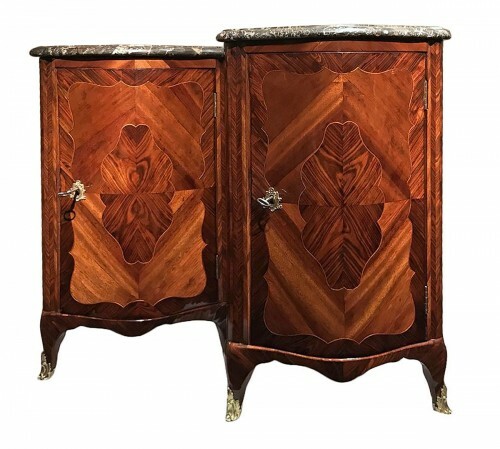 This piece of furniture’s main characteristic is its triangular shape, enabling it to be placed in the corner of a room. 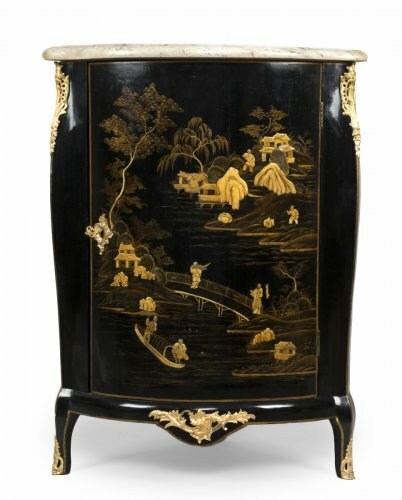 A unique piece of decorative furniture, it provides a showcase for pieces in porcelain and collectibles on its corner shelves or pyramid-shaped corner units. 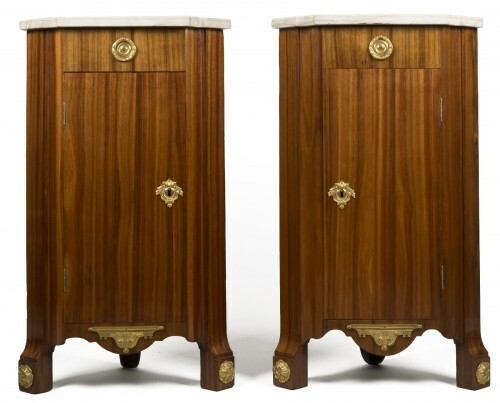 Made in sets of two, the corner cupboard provides an elegant complement to the chest-of-drawers. 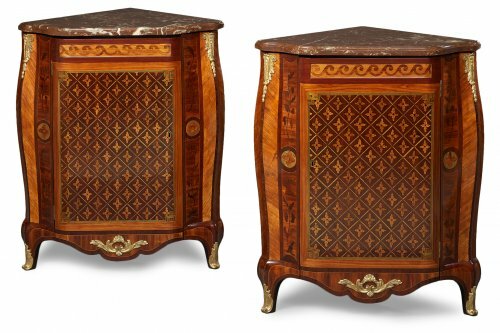 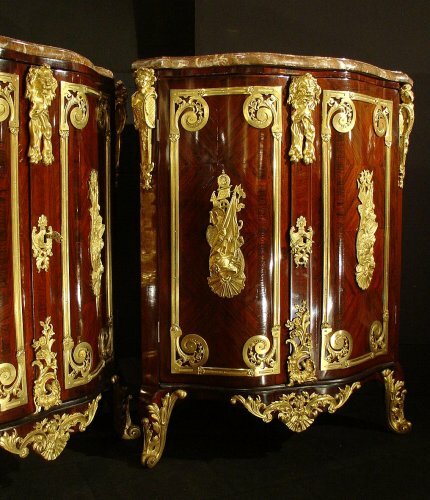 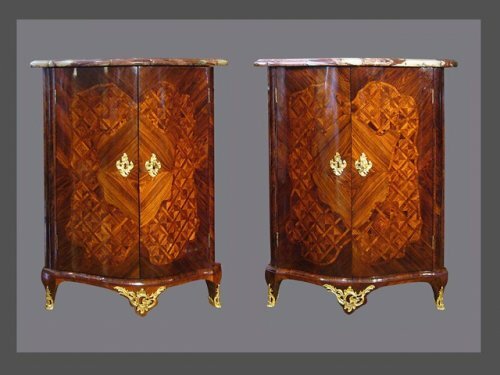 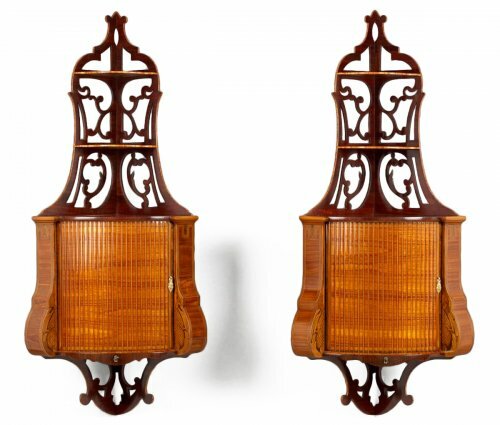 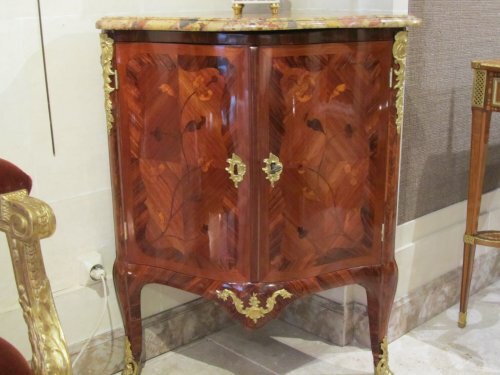 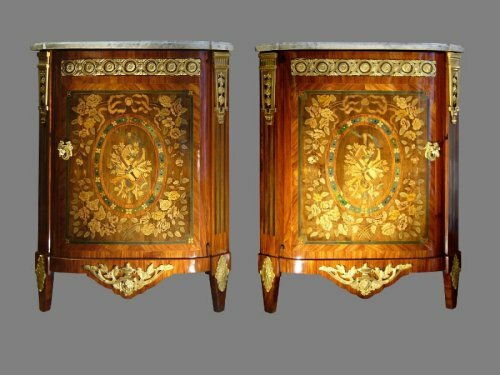 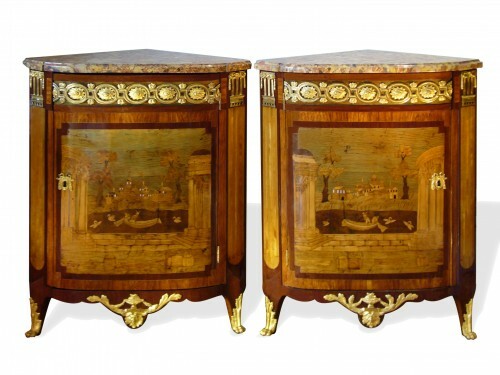 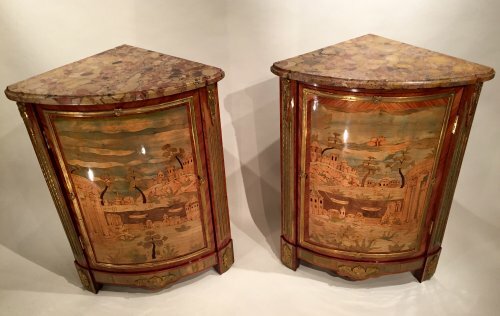 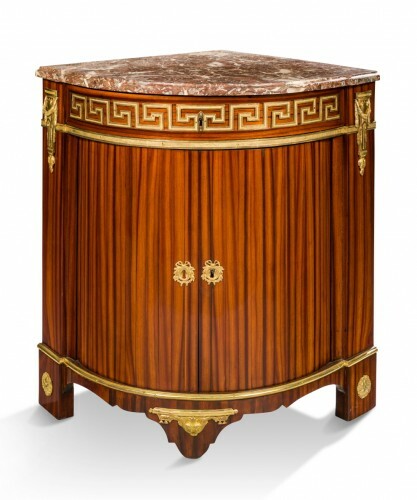 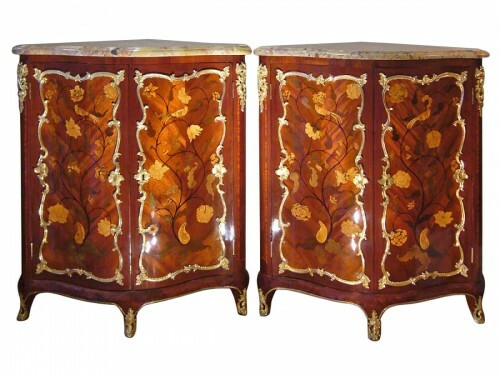 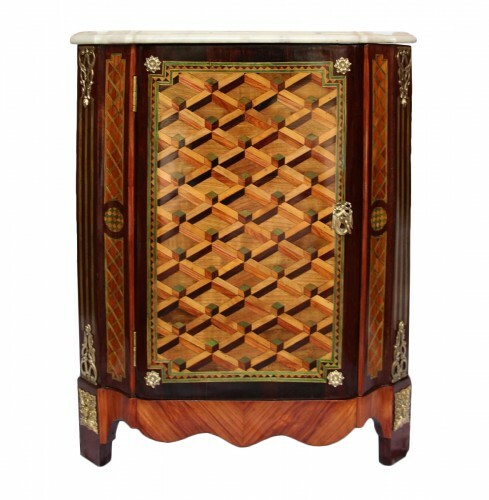 It was made in fine marquetry, or exotic wood veneer, and the ensemble was enhanced by lacquers and finely gilded and crafted bronze elements. 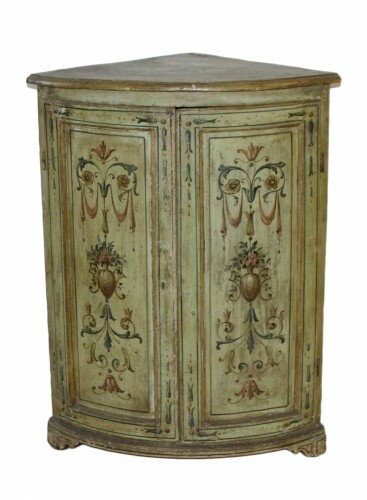 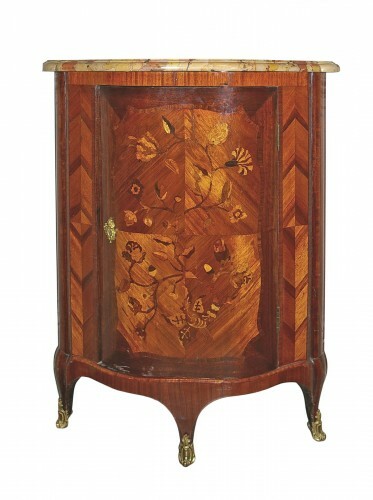 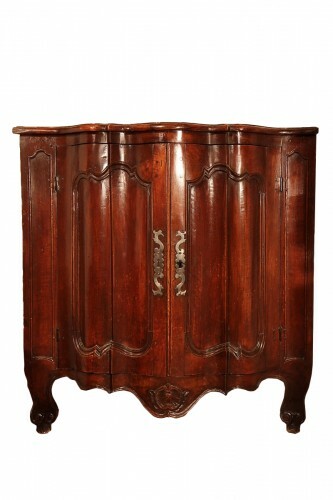 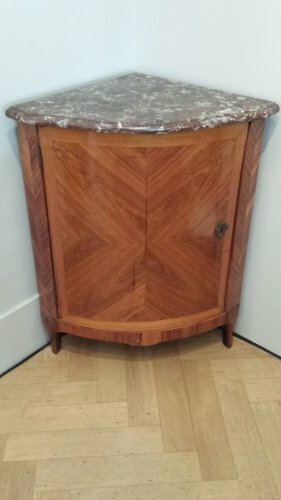 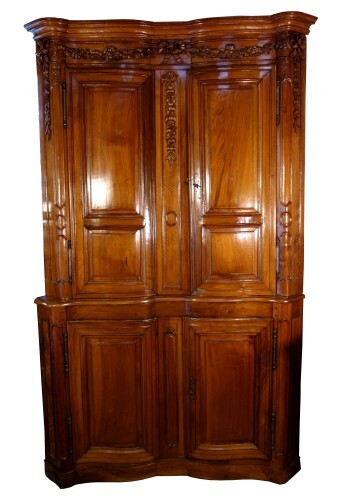 This meuble d’appui has a straight or curved front. 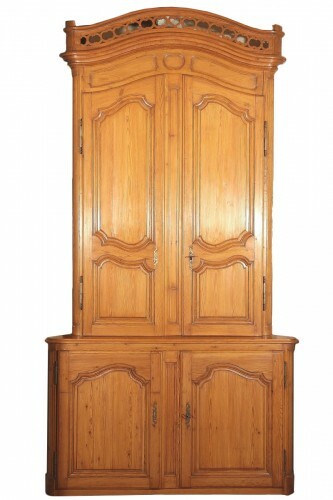 It has open shelving and one or two doors flanked by two fixed sides.